Wound healing activity of carbon monoxide liberated from CO-releasing molecule (CO-RM). Naunyn Schmiedebergs Arch Pharmacol. 2011 Jul;384(1):93-102. Ahanger AA, Prawez S, Kumar D, Prasad R, Amarpal, Tandan SK, Kumar D. Division of Pharmacology and Toxicology, Indian Veterinary Research Institute, Izatnagar, Uttar Pradesh. 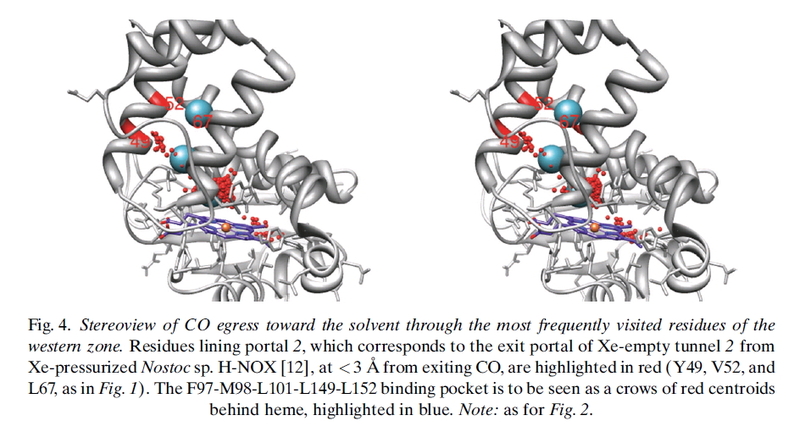 Carbon monoxide is a gas, forcing itself as an expansion to make tissue expand, yet not constrained by membranes the effect decreases at a distance from the origin of the molecular spreading effect. Since a gas forces a local zone to change shape, like the evolutionary reaction of scarring to pull tissue together in wound healing is now reduced when carbon dioxide is delivered to the wound healing site. Hence tensional/strain or tensegrity within the normal process from the scar is reduced. 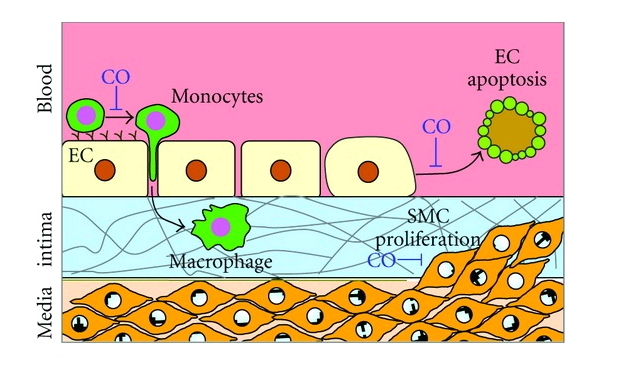 Such biological feats are huge, carbon monoxide changes the way the immune system works. The tensegrity concept can be defined in terms of push and pull, where push is provided by struts and pull is provide by cables have a win-win relationship with each other. Pull is continuous and push is discontinuous. The two balance each other producing the integrity of tension and compression. Tensegrity structures consists only compression struts and tension cable members. These fundamental phenomena do not oppose, but rather complement each other. Tensegrity is the name for a synergy between a co-existing pairs of fundamental physical laws of push and pull, or compression and tension, or repulsion and attraction. sourced from a pdf document entitled: Tensegrity based Poultry Shed miniproject report submitted by Nikhil Vyas supervised by Dr Suresh Bhalla, Department of Civil Engineeering, Indian Institute of Technology, Delhi April 2009. If there is a symbiosis of intestinal bacteria to maintain their residency within a host one of the potential methods of communication would be to use very ancient gases from a primitive atmosphere in abundance at that evolutionary time frame. Such an observation is entirely speculative on my part but the means that ancient bacteria could communicate is via carbon monoxide. So what exactly is carbon monoxide doing or accomplishing ? “Exotic bacteria that do not rely on oxygen may have played an important role in determining the composition of Earth’s early atmosphere, according to a theory that University of Chicago researcher Albert Colman is testing in the scalding hot springs of a volcanic crater in Siberia. He has found that bacteria at the site produce as well as consume carbon monoxide, a surprising twist that scientists must take into account as they attempt to reconstruct the evolution of Earth’s early atmosphere. Kamchatka Peninsula to study the microbiology and geochemistry of the region’s hot springs. Colman and his colleagues focused on anaerobic carboxydotrophs — microbes with a physiology as exotic as their name. 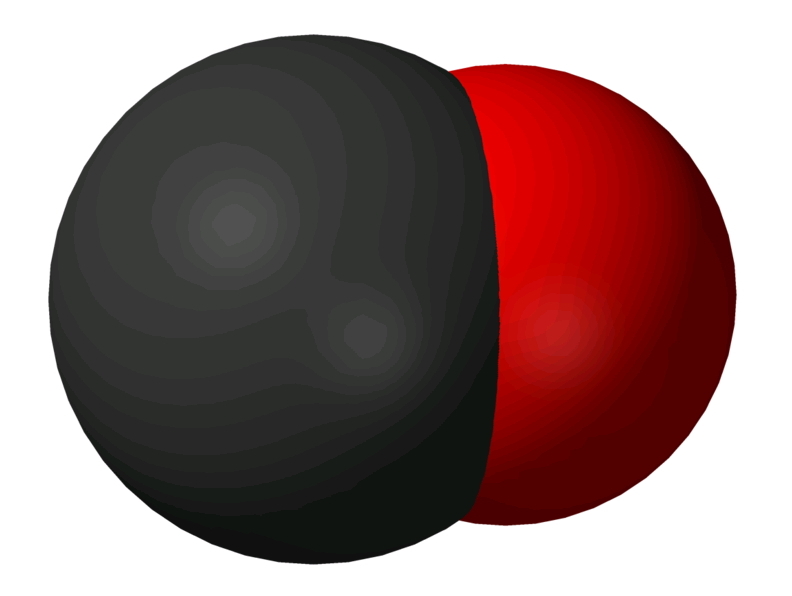 They use carbon monoxide mostly for energy, but also as a source of carbon for the production of new cellular material. This carbon monoxide based physiology results in the microbial production of hydrogen, a component of certain alternative fuels. The research team thus also sought to probe biotechnological applications for cleaning carbon monoxide from certain industrial waste gases and for biohydrogen production. The team did discover a wide range of carboxydotrophs. Paradoxically, Colman found that much of the carbon monoxide at the Kamchatka site was not bubbling up with the volcanic gases; instead “it was being produced by the microbial community in these springs,” he says. His team began considering the implications of a strong microbial source of carbon monoxide, both in the local springs but also for the early Earth. Earth’s early atmosphere contained hardly any oxygen but relatively large amounts of carbon dioxide and possibly methane, experts believe. Then during the so-called Great Oxidation Event about 2.3 to 2.5 billion years ago, oxygen levels in the atmosphere rose from vanishingly small amounts to modestly low concentrations. Colman’s calculations suggest that carbon monoxide may have nearly reached percentage concentrations of 1 percent in the atmosphere, tens of thousands of times higher than current concentrations. This in turn would have exerted influence on concentration of atmospheric methane, a powerful greenhouse gas, with consequences for global temperatures. Furthermore, such high carbon monoxide concentrations would have been toxic for many microorganisms, placing evolutionary pressure on the early biosphere. Colman and UChicago graduate student Bo He have conducted fieldwork in both Uzon and California’s Lassen Volcanic National Park. Colman has most recently journeyed to Kamchatka for additional fieldwork in 2007 and 2010. “This fantastic field site has a wide variety of hot springs,” he says. “Different colors, temperatures, chemistries, different types of micro-organisms living in them. It’s a lot like Yellowstone in certain respects.” Lassen’s springs have a narrower range of acidic chemistries, yet microbial production of carbon monoxide appears to be widespread in both settings. Collaborator Frank Robb of the University of Maryland, Baltimore, lauds Colman for his “boundless enthusiasm” and for his “meticulous preparation,” much-needed qualities to ensure the safe transport of delicate instruments into the field. Redox (reduction-oxidation) reactions include all chemical reactions in which atoms have their oxidation state changed. ‘Redox reactions, or oxidation-reduction reactions, have a number of similarities to acid-base reactions . Like acid-base reactions , redox reactions are a matched set, that is, there cannot be an oxidation reaction without a reduction reaction happening simultaneously. The oxidation alone and the reduction alone are each called a half-reaction , because two half-reactions always occur together to form a whole reaction. When writing half-reactions, the gained or lost electrons are typically included explicitly in order that the half-reaction be balanced with respect to electric charge. I hope I have not hit you with too many concepts here. Here is the rationale for this essay. 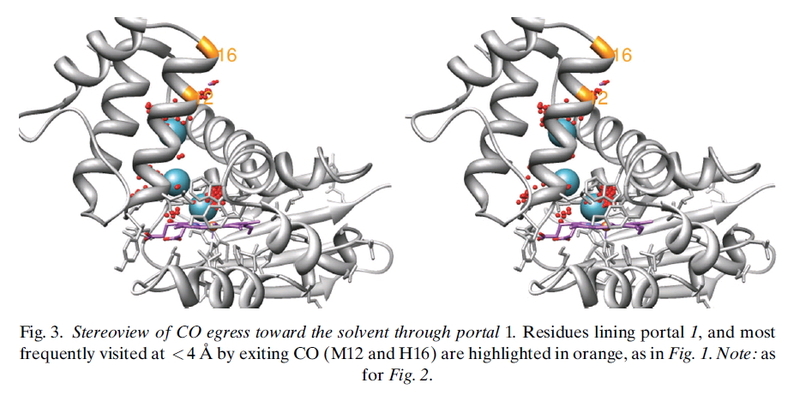 The carbon monoxide gas has to get into specific proteins, the query is how does it do this to create all these potential cellular changes that may promote healing improvement. So lets focus on this before any detail is introduced, make sense? If tensegrity is involved there has to be interaction within the shape itself of a particular molecule. here we go. Here’s the summary for this essay. I asked the question about a gas carbon monoxide being able to improve healing. Some chemical reactions are seeing just that sort of response. I then mentioned almost in passing the tensegrity of shape sensing invoking the balance of push/pull going on within the detail of the architecture. This thought was followed by the evidence for early atmospheres giving rise with archibacteria using carbon monoxide as a kind of gas transmitter in ancient bacterial colonies as life slowly started to develop. Finally I show a very sophisticated Italian study by Francesco Pietra Accademia Lucchese di Scienze, Lettere e Arti, Classe di Scienze, Palazzo Ducale, IT-55100 Lucca. 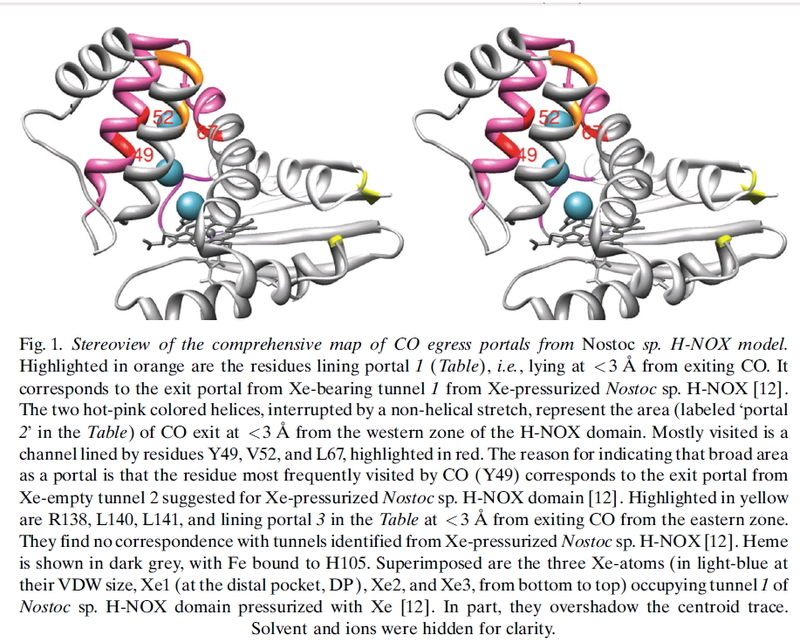 Basically they gently applied nano force and watched the molecule H-NOX stretch along the preferred entry and egress pathways for preferred transition of the carbon monoxide molecule to get into the center of the molecular shape, the critical term here is stretch/shape sensing along what they term the cleft. 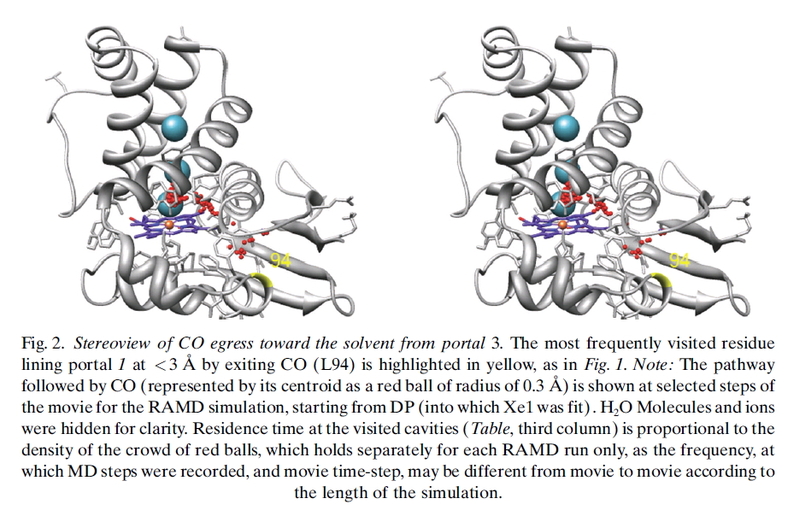 As carbon monoxide is used as a gas to accomplish transmitter interaction from a primitive atmosphere, a specific architecture of assembly was also required for the gas to interact with molecules built using a very specific rule set, by the rule set of assembly using the principles of tensegrity. To not only build the molecule but too dynamically move within the molecule changing shape along the way. 1 Response to Carbon monoxide, healing gas?